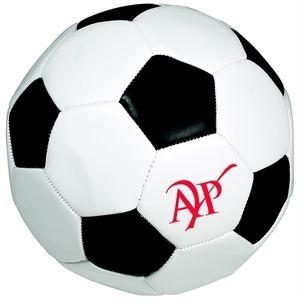 Your marketing campaign will score big with people from around the world when you choose our custom printed promotional soccer balls. Soccer is one of the most universal sports, so the fan base is huge! 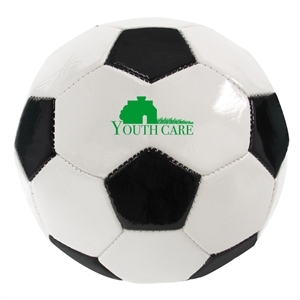 And it’s easy to play soccer anywhere; you just need a customized soccer ball. 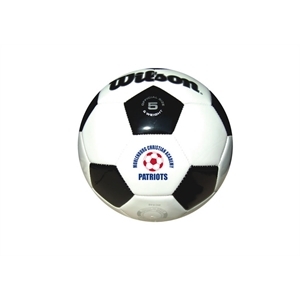 Our great variety of custom soccer promotional items includes the best in black and white and more. 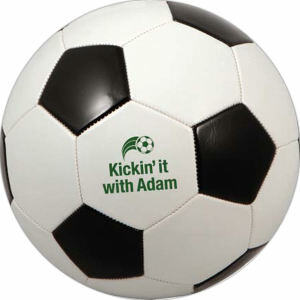 Corporate teammates will be pumped up for the next game when you use logo imprinted soccer balls. 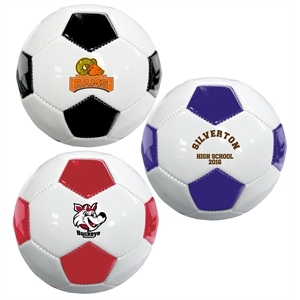 Have your brand custom printed on these fantastic soccer giveaway items, and you’ll have everyone acting like Soccer Hooligans in no time! 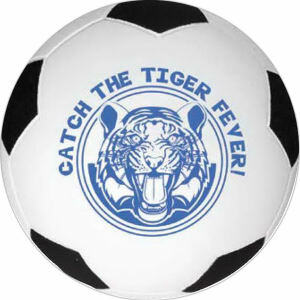 Want to kick your competitors away with custom promotional soccer items? 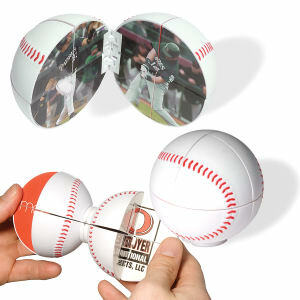 You can easily personalize any of our available sizes and colors with your corporate logo and contact information. 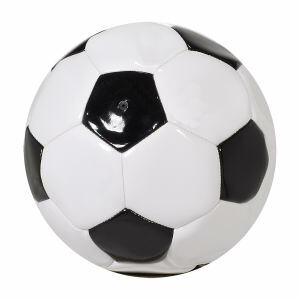 Customized soccer balls make great giveaway items at trade shows, or use them for resale! 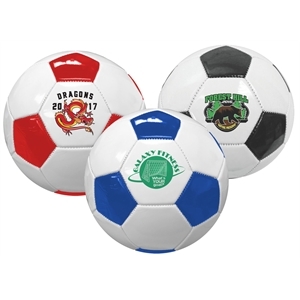 Get your brand geared up for a great marketing season, and get soccer fans on their feet with custom promotional soccer products today!